Car accidents account for nearly 40 percent of spinal cord injuries, ranking first among all causes of spinal cord injury, the National Spinal Cord Injury Statistical Center (NSCISC) says. A victim of a severe spinal cord injury may require lifelong medical care and assistance, costing millions of dollars over a lifetime. If you or a loved one has suffered a spinal cord injury in a car accident, we at Underwood Law Offices understand the difficulties you are facing. We can investigate your car accident and injuries, and help you obtain an appropriate settlement for your losses, taking account of your needs in the years ahead. Before you sign anything offered by an insurance company, contact Underwood Law Offices to find out how we can help you maximize your compensation for paralysis suffered in a wreck. A spinal cord injury results from direct trauma to the spinal cord itself or the bones (vertebrae), soft tissues and/or vessels surrounding the spinal cord. The spinal cord is the hub of the central nervous system. It connects the brain to the rest of the body. Loss of sensation or function (paralysis). Inability to effectively regulate blood pressure. Paralysis can occur below the point of injury on the spine. It is often classified to as “incomplete,” meaning the patient has some function in the affected area, or “complete,” meaning there is no function or sensation. Paraplegia, affecting all or part of the legs and pelvic organs. Tetraplegia or quadriplegia, affecting the arms, hands, trunk, legs and pelvic organs. Another painful and potentially disabling spinal cord injury is a herniated disk – also called a “slipped” or “ruptured” disk. This is trauma to the cushioning disks between vertebrae that makes them swell and irritate the spinal cord or adjacent nerves. Herniated disks cause pain, numbness and weakness in the arms or legs, depending on where they occur along the spine. About 273,000 Americans are living with a spinal cord injury, according to the NSCISC. The lifetime costs of a spinal cord injury can range from slightly more than $1 million for a 50-year-old with any level of incomplete motor function, to $4.6 million or more for a 25-year-old living with widespread tetraplegia, the NSCISC says. Nearly half of all people reporting spinal cord injuries to the NCISC database sustained them between the ages of 16 and 30. A spinal cord injury suffered in a car accident can be a disabling condition that leads to a lengthy and expensive recovery. It may leave the victim unable to ever again work for a living. The costs of such an injury can easily leave an individual, or a family whose breadwinner has been injured, financially devastated. If a negligent or reckless driver has caused a spinal cord injury – such as in a drunk driving, fatigued driving or distracted driving accident – the at-fault driver may be held liable for the costs of the innocent victim’s serious injuries. 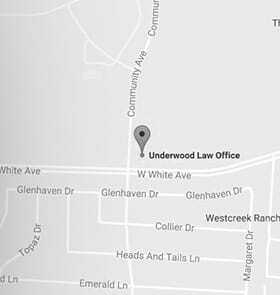 The car accident attorneys of the Underwood Law Offices bring almost 50 years of combined experience to our crash investigations, insurance company negotiations and courtroom litigation on behalf of car accident victims. Our attorneys understand what it takes to compile crash evidence and financial data that compels insurers to provide maximum settlements to spinal cord injury victims and their families. If you are dealing with a serious spinal cord injury sustained in a car accident that was not your fault, you may be entitled to compensation for your medical expenses and other losses. Let a Spinal Cord Injury Lawyer at Underwood Law Office help after your auto accident. We have handled many decades of personal injury cases. Our trial lawyers can help you recover the maximum compensation available in your spinal cord injury case. The lawyers at Underwood Law Office want to help you recover the maximum compensation available to you under the law. To schedule a free and confidential consultation about the legal options available to you, call us now or use our online form.